Police have urged people not to approach a man after he absconded from prison. James Russell, 27, was local to the town and had numerous connections there, said police. 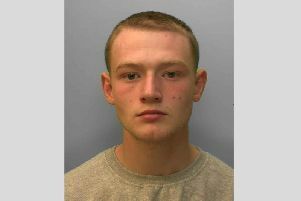 A spokesman said officers believed he may be in the Crawley area after he absconded from HMP Ford on Friday (November 13). He was described as white, 5’ 6’’, of large build, with short brown hair and hazel coloured eyes. A police spokesman said: “The public are urged not to approach him if he is spotted, but to call 999 immediately.